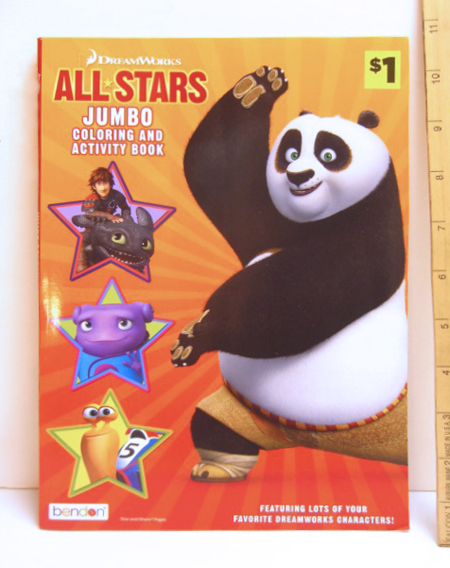 This 96-page coloring and activity book features favorite DreamWorks characters. Full color front & back covers measure 10.75 x 7.75". Officially licensed DreamWorks toys and games product by Bendon. Sold elsewhere for $4.95 & shipping. Catalog pages are not interactive. Please call or email to place order or ask questions.